Since arriving to Shelburne, Steve has been very active in the community serving on the town of Shelburne’s Transit Committee. Steve worked with former town CAO John Telfer and Ron Monroe from Dufferin Biz in negotiations with GO Transit to bring transit to the town of Shelburne. 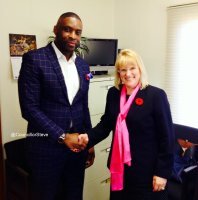 Since his appointment to Council, Steve has continued his efforts to bring transit to Shelburne by teaming up with MPP Sylvia Jones. 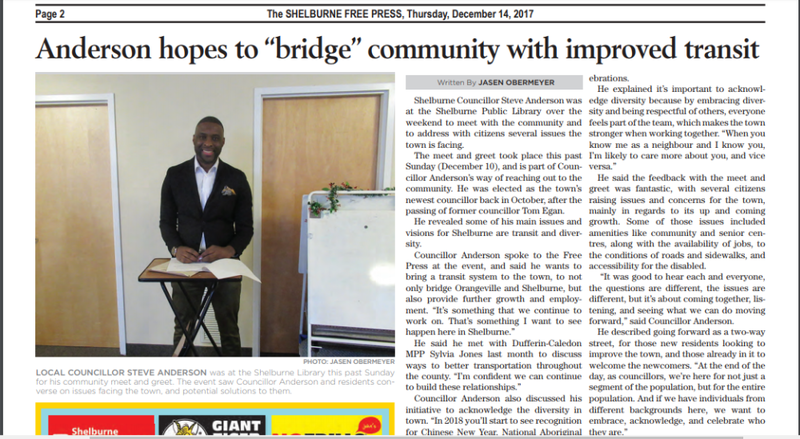 Immediately following his appointment on October 2, 2017, Steve held the first and very successful Meet and Greet in partnership with the Shelburne Public Library. Steve firmly believes that in order to be a successful advocate for the community, you must first meet, talk, listen and respond to the needs of the people. Award following his untimely passing. The award is designed to celebrate his memory and years of impeccable service to this town! 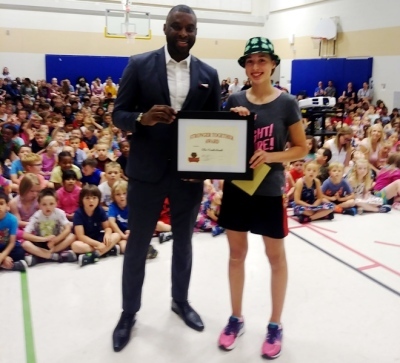 The Community Service Award was given by Steve and representatives of the Egan family to Dorian Jeffrey-Jones on June 1, 2018 at the Centre Dufferin High School in Shelburne. Listening to our local educators, Steve established the Stronger Together Award to recognize a student who has demonstrated the ability to bring our community together! Steve was honored to present this award to Tomaz Sellitto on June 1, 2018 at the Centre Dufferin High School in Shelburne. 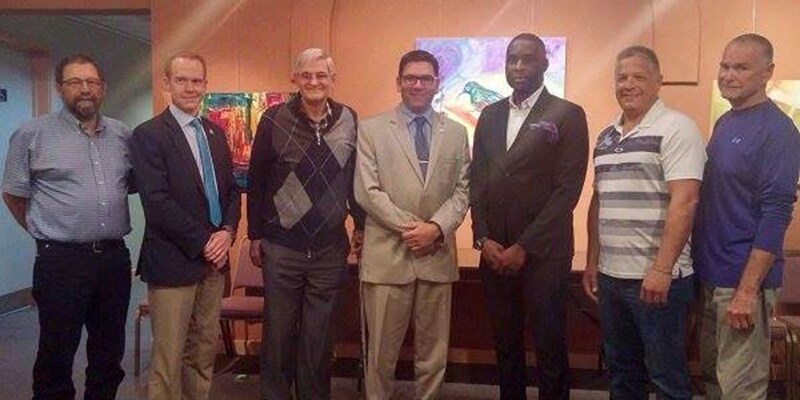 It was conversations with existing residents and newcomers to our community that led to Steve’s successful motion before Council to have the town of Shelburne formally recognize its diversity by acknowledging and celebrating major cultural festivals such as Black History Month, Chinese New Year, Eid, Diwali and National Aboriginal Day! When it comes to Shelburne’s students, it’s Steve’s desire to see that all have fair opportunity to succeed. 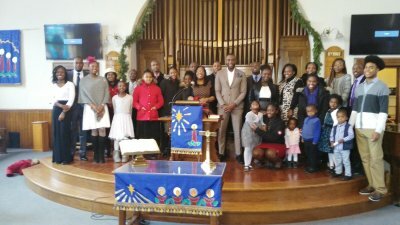 On youth employment, Steve has shown leadership by connecting parents to local employment specialists and posting via social media recent job opportunities. Regarding student engagement and development, Steve firmly believes that our students must be given every opportunity to connect and gain valuable experiences outside of Shelburne. As a result of his strong partnerships with the schools, Steve was able to plan and organize the town’s first Queen’s Park Tour where students had the opportunity to meet MPP Sylvia Jones and see first-hand our provincial politicians in action. celebrate the 100th birthday of Phyllis Montague along with family, staff and friends at the Shelburne Long Term Care. On the issue of health care, Steve met with local care providers to discuss service improvements. As a result of those discussions, Steve will be meeting with Headwaters president and CEO Stacey Daub and her team to discuss ways to improve health care outcomes for our residents. NEW Shelburne Multicultural Day Event! Will You Take The Challenge? February is Black History Month and the community’s first black councillor spoke to the Free Press about some of the individuals who paved the way for him, including Rosemary Brown (first black Canadian woman to be elected to the Canadian provincial legislature) and Jean Augustine (first African-Canadian woman to be elected to the Canadian House of Commons and first to serve in the federal Cabinet). 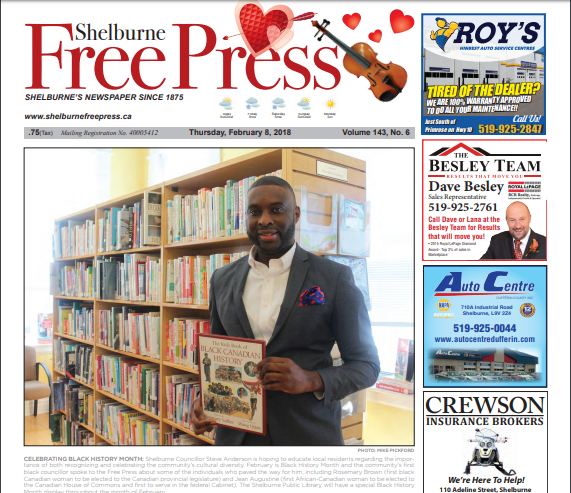 The Shelburne Public Library will have a special Black History Month display throughout the month of February. 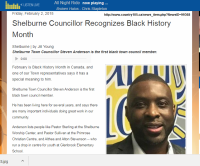 Shelburne Town Councillor Steven Anderson is the first black town council member. 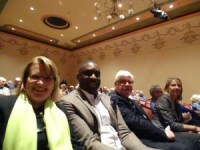 (Above L to R) MPP Sylvia Jones, Shelburne Town Councillor, Steve Anderson, and MP David Tilson. I’m a firm believer that political engagement or at least the understanding of our political institutions is a critical learning opportunity for our youths! Shelburne Town Councillor, Steve Anderson makes good on a promise. Having replaced well loved and highly respected Town Councillor, Tom Egan following his passing, Anderson approached Council with a way to honor Egan’s memory in a heartfelt way that would span the test of time.